Ahoy mateys! 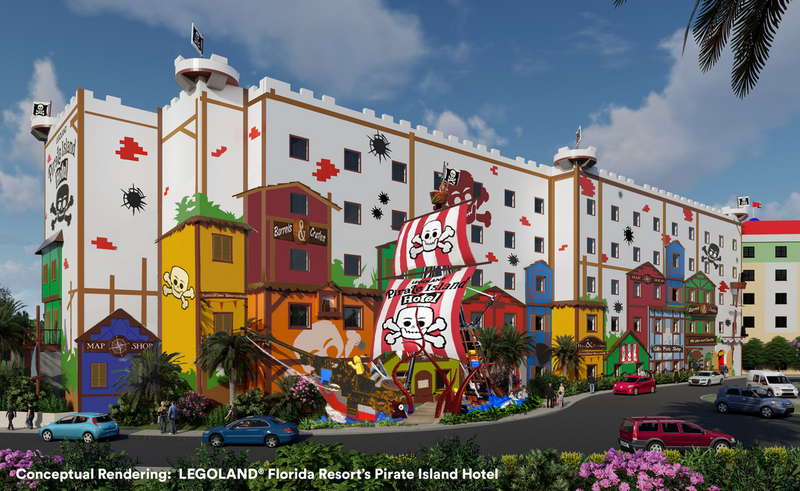 LEGOLAND Florida Resort is proud to announce its newest LEGO pirate-themed accommodation, Pirate Island Hotel, opening in spring 2020. 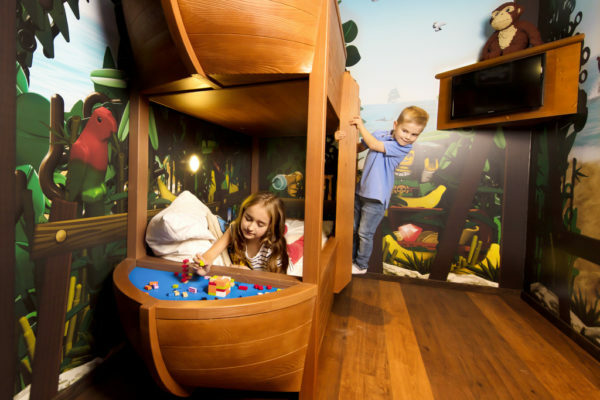 Connected to the existing LEGOLAND Hotel and next to beautiful Lake Eloise, Pirate Island will be the third on-site accommodation at LEGOLAND Florida Resort. 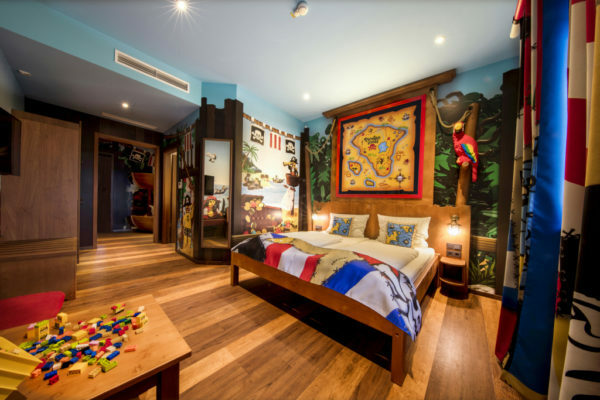 Located a mere 130 kid steps away from the main entrance to the theme park, the Hotel will feature 150 fun-filled rooms, an expansive pool and pool deck, hundreds of LEGO models and numerous character experiences. Pirate Island will be a key addition to LEGOLAND Florida Resort’s continued park expansion, which also includes THE LEGO MOVIE WORLD opening in spring 2019 and a new miniature golf course for hotel guests opening in summer 2019.